While the poker world is presently focused almost entirely on the WSOP Main Event, it should be noted that we are less than a month away from the kickoff of the Epic Poker League. While the league is touting itself as the PGA Tour of the poker world, many are skeptical as to whether this league will be successful. Personally, I am rooting for the league to gain a foothold, but there are a few things that need to happen for this to be successful. As many of you may know, the Heartland Poker Tour was acquired by Federated Sports and Gaming, the company that runs the EPL. Since that acquisition, it was announced that the EPL Pro-Am Event will be televised on stations that carry the Heartland Poker Tour. While this is an important first step in getting the program distributed to the casual poker public, the program needs to draw solid ratings in this market. If it can prove popular in already existing market, then maybe a major network or major production company will take a shot on broadcasting the Main Events. For now, having the Heartland Poker Tour produce the leagues program is on par with when TBS used to use the now defunct WTBS as the Atlanta Braves nearly-exclusive network. I am not saying that the Heartland Poker Tour production team is second rate, but Poker PROductions they are not. At the same time, this also may be the time for the production team to really step things up and take their programming to the next level. They may not be there now, but that isn’t saying they can’t get to that level. Personally, the most telling stat when the league kicks off is how many of the qualifying roster shows up. There are quite a few that are paying the league “lip service” but I am waiting to see how many put up the buy-in and take their seat in the Main Event. Also, I want to see how many non-qualifiers that are pros show up for the Pro-Am. If the Pro-Am numbers are strong and the Main Event numbers can pull solid numbers for the first events, the league may gain some legs. Yes, this league is supposed to be the “PGA Tour of Poker”, but in order for it to be successful we either need our equivalent of Tiger Woods to step up or our equivalent of Rory McElroy to show some dominance early. People tune into golf when Tiger plays because he is that good. The same is true in poker. Big names need to perform and actually show up to perform and not just show up to make an appearance and hope to run good. It would be great to see something of a major rivalry develop among two of poker’s biggest stars or one between one of the “old guard” and one of the “internet kids.” Drama equals ratings. Suckouts and no-name champions do not. Just ask the WSOP. 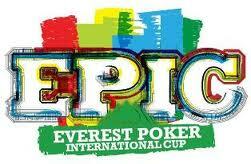 I will be paying attention when the Epic Poker League kicks off next month and I hope it is a success. We will know by the 2nd or 3rd Main Event whether this league is going to be the next big thing or a just a bump in the post-Moneymaker poker road. This entry was posted on Thursday, July 14th, 2011 at 6:11 am and is filed under Poker News. You can follow any responses to this entry through the RSS 2.0 feed. You can leave a response, or trackback from your own site.